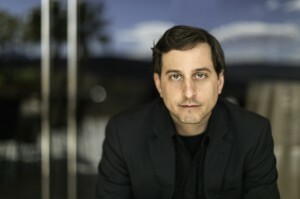 Pablo Sartor is an experienced commissioned photographer with over 15 years of experience. He has documented thousands of events-from everyday occasions of families, organizations, and businesses to the high points in the lives of ordinary people and world leaders alike. His pictures have appeared in print and online in numerous regional and national publications including ENGAGED!, the knot, Washingtonian, and Bride and Groom. Apart from capturing amazing, once-in-a-lifetime moments, Pablo’s greatest skill as a photographer may be his ability to help his subjects lose themselves in the moment. With plenty of humor and in-depth knowledge of the process, he works to draw attention away from the lights and lenses to help subjects forget about actually being in front of the camera. Many say that it is this intangible quality that sets him apart, helps him get the best of people in his pictures, and has created many loyal fans who return to him to document each milestone of their lives. Married and a father of three girls, he currently lives in the D.C. metropolitan area where he has photographed at every major venue. He also travels regularly throughout the U.S. and abroad for work.